Written by Diane Hidy & Keith Snell, two teachers you already know and trust, this series for beginners ages 6 and up gives you the tools to make your job easier than it's ever been before. Diane Hidy’s ability to take the ordinary and make it unusual and exciting has made her the most respected piano teacher online today. In Piano Town, she uses the same wit and sensitivity to bring joy to the lyrics of even the simplest pieces. 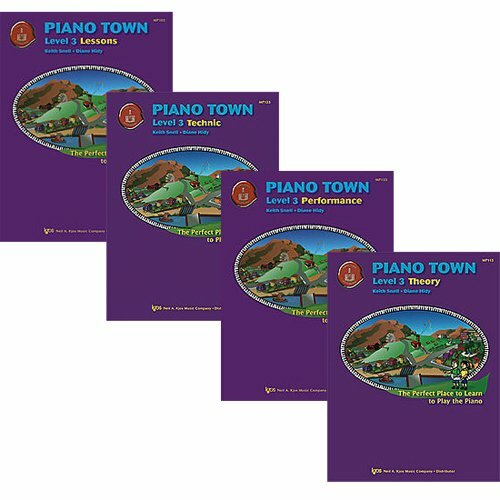 The eye for layout that makes her Attention Grabbers Books so successful informs the visual design of Piano Town. These books are unusually vivid, clear and easy-to-use even for first-time users. 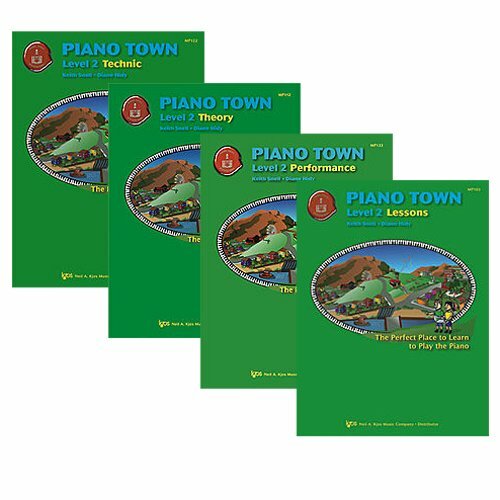 Starting from the first page, Piano Town is a unique experience for each child. 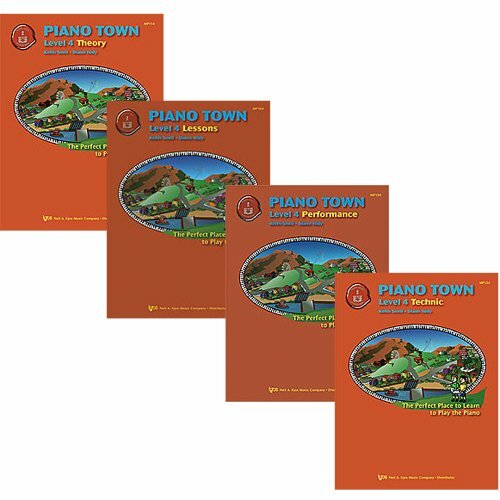 Each child can commemorate their first piano lesson by filling out this charming page. 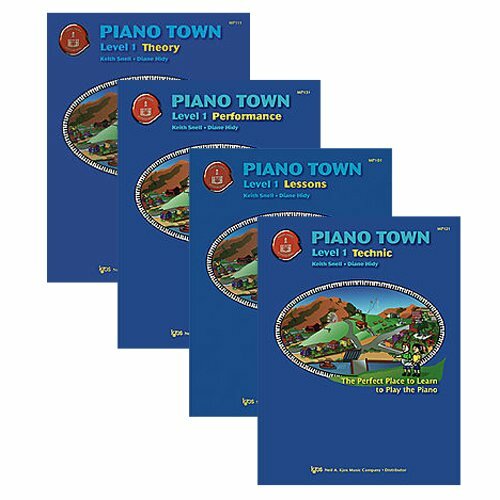 Piano Town" is the method book I use with my elementary student curriculum for non-adult students. 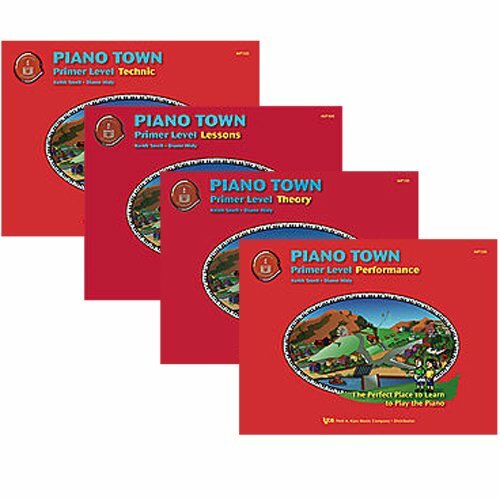 I have been using "Piano Town" ever since it was first introduced into the market and my students and I just love it. Delightful illustrations and a subtle, continuing story line draw children in to the world of Piano Town. Introducing Sharp is an active process in Piano Town. Notice that every sharp requires the student to move to the black key. Once they've played this piece, they remember exactly what to do when they see a sharp! Each piece is preceded by questions to help both student and teacher focus on the new tasks ahead. This first piece in Level Two introducing 6ths by gently reinforcing the healthiest way to play an open interval. The questions become slightly more sophisticated as the students move into Level One Lessons.